Using olive oil for skin health has been done for many years. Particularly in Greece. 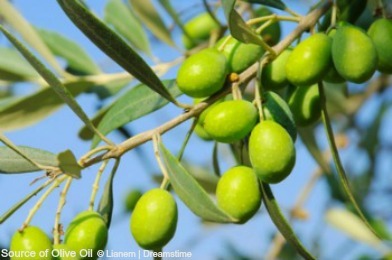 The oil comes from the fruit of the olive tree, Latin name Olea europaea. The tree is found growing in the Mediterranean, and the oil is used widely in cooking in that area. 100% pure organic extra virgin olive oil is recommended to use for eczema. It is free from chemicals, and is the most natural. Try to buy the purest oil you can find. Reports have shown that olive oil absorbs deep into the skin. Getting into the deeper layers to really moisturise your skin. It has a few properties which can make the oil useful in the management of your eczema. One of the other benefits of olive oil for skin is it is a really good sources of vitamin E. Vitamin E is good for any type of skin. It will help to soothe your skin and keep it soft. This helps with preventing further skin damage. There are a number of different ways you can use olive oil to help manage your eczema. Olive oil also has many health benefits when taken internally. There are many ways it can be used in cooking. 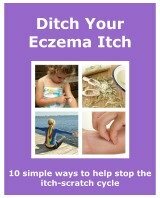 Though there are no reports on how beneficial it is to eczema when taken this way. 100% pure olive oil is a completely natural product. This makes it very unlikely that you will get an allergic reaction from using it. It also means that it is safe to use on your child. Because it is a great moisturiser it is ideal to use on dry skin. As with all treatments it isn’t effective for everyone, but as there is a very low chance of a negative reaction it maybe worth a try.